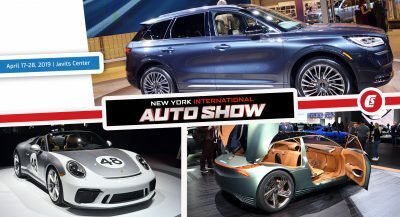 The successor of the Bugatti Veyron ends up in the news once again as no less than two prototypes were caught on public roads. 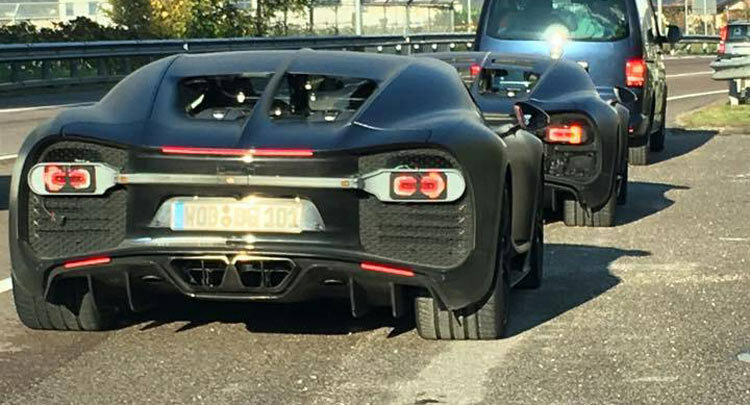 The test mules show the rear end design of the hypercar and join the previous similar images that surfaced in the last few weeks. 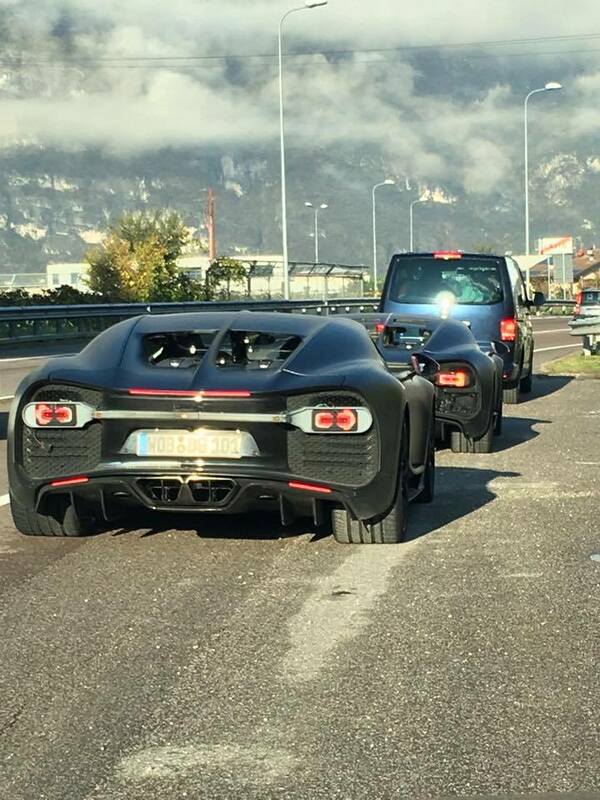 The two prototypes were caught somewhere in Europe, possibly in the Alps, as Bugatti took them out. 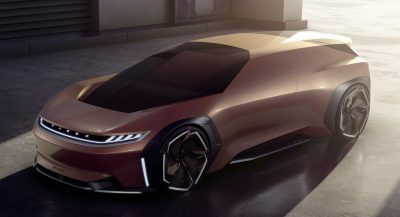 We can notice the mid-engine layout, the four centrally mounted exhaust pipes, the aggressive diffuser and what seems to be a central LED strip connecting the new taillights, added to the Vision GT inspired lines. Even though the Chiron name is still not confirmed by Bugatti, that’s how the Veyron successor is widely referred to. The new hypercar will allegedly be produced in just 500 units, with approximately 120 customers already showing interest in them. Reports indicate that it will come with as much as 1,500 PS (1,103 kW) and 1,500 Nm (1,107 lb-ft) of torque courtesy of an updated version of the the 8.0-liter quad-turbo W16 engine used on the Veyron. 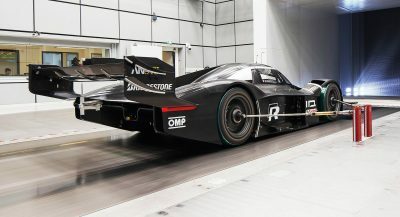 This should allow it to reach 100 km/h (62 mph from a standstill in just 2.3 seconds and top out at around 435-450km/h (270-280mph). An exact official reveal date or further details haven’t been released so far, but Bugatti’s new hyper sports car is believed to debut next March, in Geneva.